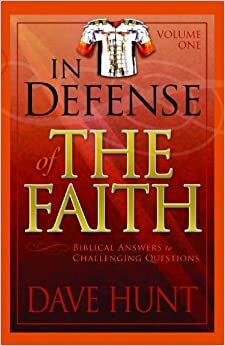 Seek To Know The Truth: In Defense of the Faith: An Overworked Lie - Question: My psychology professor at the university claims that anyone can get any idea he wants out of the Bible. It can be made to say anything the person reading it wants to believe. And he says that’s the reason why there are so many differences among those who claim to follow the Bible: for example, between Catholics and Protestants and between the hundreds of Protestant denominations. How then can anyone rely upon the Bible for anything? In Defense of the Faith: An Overworked Lie - Question: My psychology professor at the university claims that anyone can get any idea he wants out of the Bible. It can be made to say anything the person reading it wants to believe. And he says that’s the reason why there are so many differences among those who claim to follow the Bible: for example, between Catholics and Protestants and between the hundreds of Protestant denominations. How then can anyone rely upon the Bible for anything? Question: My psychology professor at the university claims that anyone can get any idea he wants out of the Bible. It can be made to say anything the person reading it wants to believe. And he says that’s the reason why there are so many differences among those who claim to follow the Bible: for example, between Catholics and Protestants and between the hundreds of Protestant denominations. How then can anyone rely upon the Bible for anything? Response: A moment’s thought would show the absurdity of the basic premise in this argument. Language has meaning. A statement may be so constructed that its meaning is uncertain, or it is ambiguous and thus seems to support two contradictory ideas. In such cases, the uncertainty or ambiguity is readily recognized by anyone reading or hearing such a statement. No one would be deceived by nor pay any attention to that which has no clear meaning. The professor’s amazing claim, however, goes far beyond saying that the Bible is contradictory or ambiguous. He is saying that any idea can be derived from it and apparently justified logically. If that were actually true, then for that reason alone the Bible would be the most remarkable book in the world, for no other piece of writing can be taken logically to mean anything one chooses. As for the numerous differences in doctrinal opinion and interpretation between Protestants and Roman Catholics and even within the many Protestant denominations and within the Catholic Church as well, this is only to be expected. It is inevitable that human opinions and interpretations will differ, simply because we are finite beings. Tragically, stubbornness and pride also enter the equation. These are normal differences, given human frailties, and certainly require no such explanation as the ridiculous idea that the Bible is capable of any interpretation one wishes to find there. I challenge your professor or you or anyone else to construct even one sentence that can logically be taken to mean anything one wants it to mean. No word has an infinite variety of meanings, much less could a sentence or paragraph of many words put together in meaningful sequence be so constructed as to support numerous contradictory ideas. I, too, have heard this accusation made against the Bible many times. It shows how badly people want to be able to dismiss the Bible and what foolish ideas they will embrace in the process of doing so.